Haridwar is providentially located at the point where the holy Ganga flows in the foothills of the mighty Himalayas and because of this reason, it is considered one of the seven holiest places for Hindus with pilgrims from around the country thronging the place every year just to take a dip in the holy water, especially during the months of May to October called the pilgrimage season. 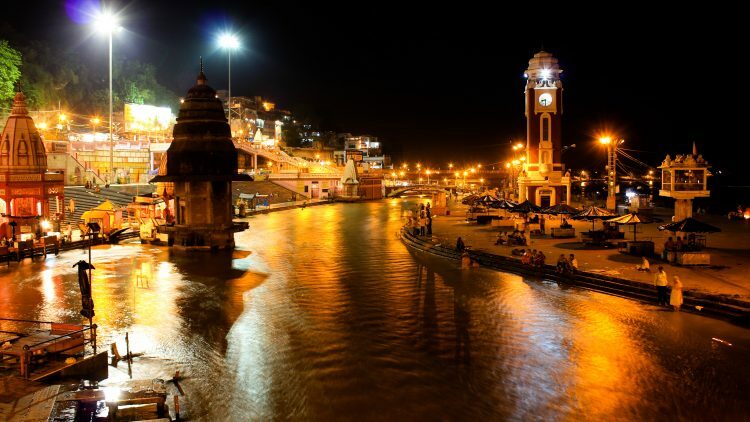 The Ganga arti that is performed every evening after sunset has lighted diyas floating in the river making for a spectacular sight and an auspicious event. Khumbh mela which takes places once in 12 years is another historic event Haridwar is famous for across the globe. The city, dotted with number of temples and religious sites, has popular tourist attractions like the Maya Devi Temple, Pawan Dham, Shantikunj, Bharat Mata Mandir, Gangadwara and so on. One of the most important railheads in the Indian railways’ Northern Zone, the haridwar junction railway station is located in NH 58 with good train and bus connectivity with other major cities of India and also the nearby cities like Rishikesh, Meerut, Mussourie, Shimla, Nainital, Uttarkashi, and Dehradun. As a sacred location and serving as a prime pilgrimage center, the food offered in Haridwar mostly comprises of authentic vegetarian, pure food prepared with extreme hygiene representative of the pilgrims’ belief in pious and saintly behavior to keep their religious sanctity unsullied. The menu comprises mostly of south Indian food like idly, dosa, pongal, sambar and chutney served as breakfast. Aloo puri, roti, rice and dal, bhaji etc form the crux of every day lunch. Getting the right food for train journey at the right timing is a blessing. Be it food from fine dining restaurants or local street vendors, your preference right from vegetarian, non-vegetarian or Jain food needs to no onion no garlic food or food for kids and elders, we assist in your food delivery at Haridwar Jn Station with relative ease and at your comfort. Travelerfood Subscription Food Delivery on Railway Stations.